Stay connected... You'll only hear from me when something newsworthy's up! My Story: 21 months after twins! Hi, I'm Maki the mum behind this blog. 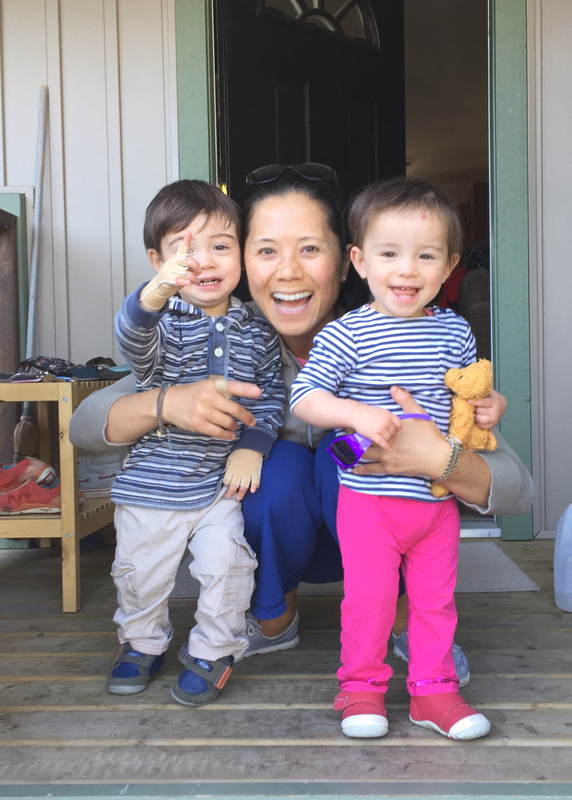 Here's me with my twins, Leo and Hannah at 21 months in 2016, which is when I started this site I created the 14 Day BABE Challenge in the fall of 2016 and created the site Selfcaremum.com to house the challenge details. Since then, the site has grown into more, for all moms who value self-care. I really appreciate you taking time to read and follow Selfcare Mum. Here's my full story ~ my background and challenges, what's worked for me, what hasn't and how it's relevant to you. I wrote it to help the moms on the challenge get to know me in a real, honest way. It's all there, and if you have any questions, click on any of the social icons in the top bar. I love Instagram - you'll be sure to connect with me there! ©2017 MHB Creative Projects. All rights reserved.